Looking back to my reading resolutions, I made a valiant attempt to speed-read my way to 40 books by the end of 2016,but alas, I was 4 titles short. Still an average 3 books a month isn't to be sniffed at, and it is far better than the meagre 23 novels managed in 2015. So the golden (arbitrary) number of 40 is still there to be claimed in 2017, and I have begun in earnest, completing Joseph Conrad's Heart of Darkness as my first book of the year. And so to the final reads of 2016. I stumbled on Readers of Broken Wheel Recommend by Katrina Bivald by accident. I found myself in town and about to wait for child 2 to have his eyes tested when I realised that I had failed to bring a book with me. This state of affairs could not be allowed to continue, so I nipped into WHSmith and bought the first novel that took my fancy. I liked the quirky title and the premise of the story looked entertaining. The irony of this whole book-less farce takes full shape when you realise that I had mistakenly booked the optician appointment for the previous month, thus rendering all panic purchases moot. However, now committed, I began the book as soon as we got home! The plot centres on Sara Lindqvist. She is 28, has never travelled and has spent most of her life reading, preferring books over people. (Any similarity to anyone you may know is entirely unintentional!) When her job (in a bookshop!) is made redundant, she takes up her long-term pen pal's offer to come to the state of Iowa to visit Amy and discover the streets and the townsfolk that Amy has written about for so long. This is a bold move that is out of character, and it is a distinctly nervous Sara who appears in Hope, the neighbouring town to BrokenWheel, at the beginning of chapter one. When her lift fails to materialise, she accepts help from a local man to get her to her destination. Here, she is alarmed to discover that her elderly pen-pal has died but has left instructions that Sara should stay in her house and continue with her planned visit. This rather bizarre opening sequence holds promise, but it is difficult to suspend disbelief for the whole novel. Sara is broadly welcomed by the locals as a friend of Amy, but her stay is scheduled to last only 6 weeks. In that short space of time, we are supposed to believe that she forms bonds with these people that are deeper than any she has made in the previous 28 years and that they are as fond of her as she has become dependent on them. She finds many books in Amy's house and sets about opening a bookshop with these as her first stock. This is all accomplished within the time frame. The novel is built on a great idea, but becomes less than I wanted it to be. It is not quite chick-lit, but it teeters there. The romantic aspect is predictable and a tad dull and the plot arc isn't convincing. I think it might be one that ends up in my charity shop box rather than my bookshelf. I am unlikely to re-read it. childhood was stable and unremarkable, like mine and like many others. Very pleasant to live through but not very exciting to read about. I became much more engaged when he recounts his early career and the tenacity he demonstrated to reach into a world that remained so elusive for so long. Fame is a funny thing. If you had asked me prior to reading this book when had Rob Brydon reached our TV screens, I think I might have said that he had always been around. This isn't the case. A household name now, most of us wouldn't have heard of him before 2000 when he won best newcomer award, and by my reckoning he is 51 now. So success was well earnt and striven for. It is this story that forms the backbone of the book and it is a story of tenacity and determination. This isn't a romanticised biography. Brydon keeps his private life private throughout. The escapades of youthful romance are included and some photos of a 1970s, 1980's Rob Brydon are as embarrassing as those of any of us who happened to be young in the disco dancing, big hair era! This is quite a relief to me, as I sometimes leaf through through my parents' albums and my university photos and wonder what on earth I was doing with my follicles! It is good to know that I wasn't alone in being a style disaster! Behind a story like this, of a young man seeking success in a world that is very hard to break into, there must be supportive family and friends. In Brydon's case, his wife must have been there for him every step of the way. They married in their twenties and 3 children are mentioned, but that is as far as it goes.He protects them from the reflected light of fame and we are left recognising their significance but knowing nothing about them. I respect that. 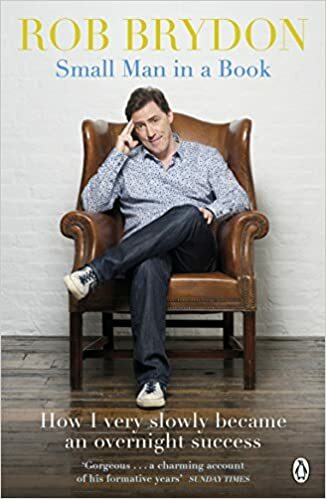 There are many funny anecdotes, but my favourite was when Brydon decamped from the doss-house flat shared by him and his fellow performers at Edinburgh fringe. After a particularly heavy party night wherein his fellows consumed much alcohol and he drank nothing but juice, the sight of a curtain torn down amongst the comatosed revellers sent him literally packing his bags and off to spend the rest of the run in the 5-star Balmoral hotel! And so Mr Brydon ends my run of 2016 reading. He is great. We saw him in The Painkiller at the Garrick earlier in the year, and it is true, that he is not "just" a comic presenter of Would I Lie to You?, he is a talented actor and singer. So 36 books read and which are to be the winners and losers of 2016? My favourite was definitely All The Light We Cannot See. I have been evangelising about this novel ever since I finished it and feel that I must be partially responsible for its sales figures! 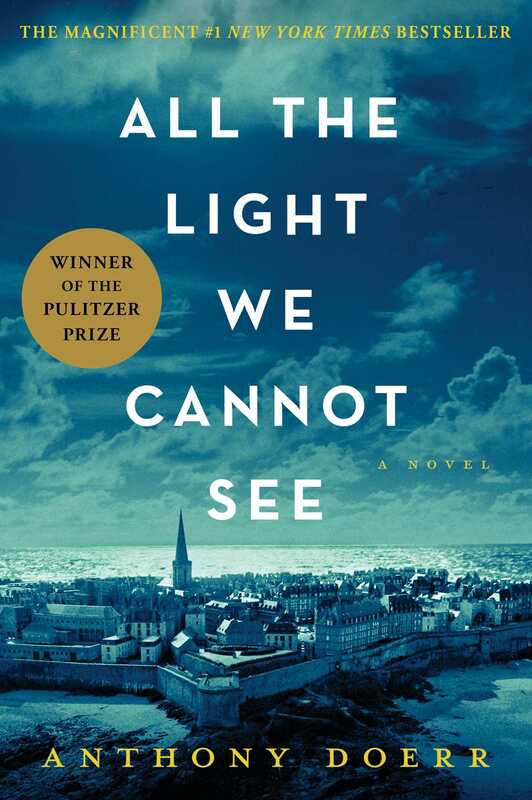 Beautifully written,evoking character most empathetically and telling a story that is credible, convincing and tragic; this novel does what I want all my novels to do, put its finger on the pulse of something of what it means to be human, something of what it means to co-exist with others, to love them and to suffer with them. My other top reads were: Never Let Me Go by Kaziro Ishiguro, Stuart, A Life Backwards by Alexander Masters, The Reluctant Fundamentalist by Mohsin Hamid and The Conclave by Robert Harris. And should I pan any? I'm not in the market to slate anyone; writing is hard and creative thinking is demanding. I'm sure every book costs its author something to write it. Mostly, I am just grateful that they do, as I have escaped into worlds created by others for as long as I could read. But I was disappointed by The Nutshell and Solar. I have a complex relationship with McEwan I've decided. I can't fail to be excited by his new books and by those moments in a charity shop when I find a title I haven't got yet, but sometimes I'm just not on his wavelength. Others I failed to fully enjoy were the Little Paris Bookshop, The Examined Life and The History Room. 2017 opens with The Heart of Darkness. I've just finished it and I've just embarked on yet another McEwan, Amsterdam. Watch this space for more reviews coming soon! Thank you for your continued interest in my blog. Please keep your comments coming through fb, twitter, the comments box at the end of the post or google+. Happy New Year to you all. I wish you health, happiness and a profusion of books!